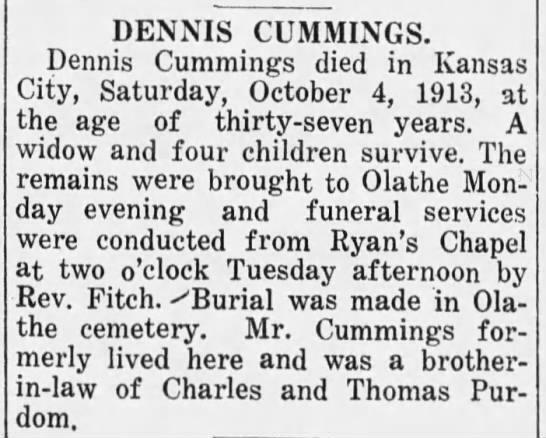 Dennis Cummings died in Kansas City, Saturday, October 4, 1913, at the age of thirty-seven years. A widow and four children survive. The remains were brought to Olathe Monday evening and funeral services were conducted from Ryan's Chapel at two o'clock Tuesday afternoon by Rev. Fitch. 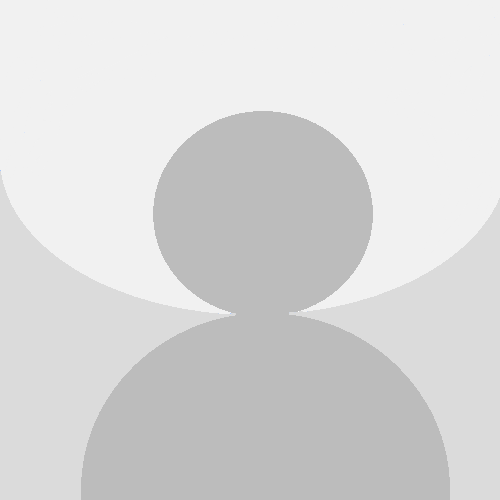 Burial was made in Olathe cemetery. Mr. Cummings formerly lived here and was a brother-in-law of Charles and Thomas Purdom.